Marine Vinyl for your boat upholstery needs. New colour range that simply steals the show. 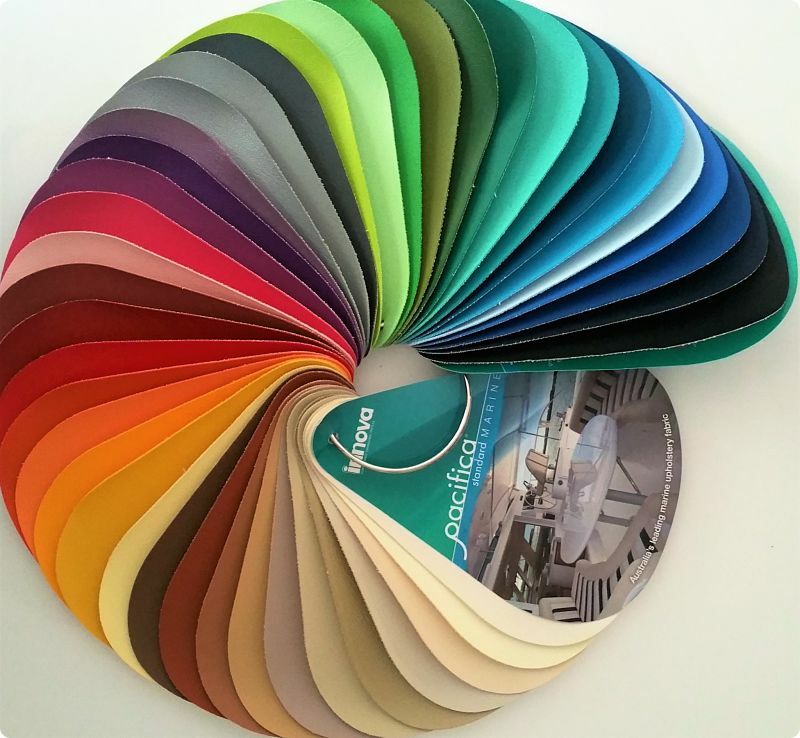 If you need a freshen up with your boat/marine upholstery consider these colours, perfect for your indoor and outdoor upholstery. Marine Vinyl is the perfect application for your boat seats, Jetski Seats, Boat Panels etc. With more than 20 years of performance and reliability, Pacifica has an unrivalled reputation in marine and commercial upholstery applications. The refreshed range of 42 designer researched colours ensures Pacifica remains the leading choice for aesthetic excellence and superior performance.